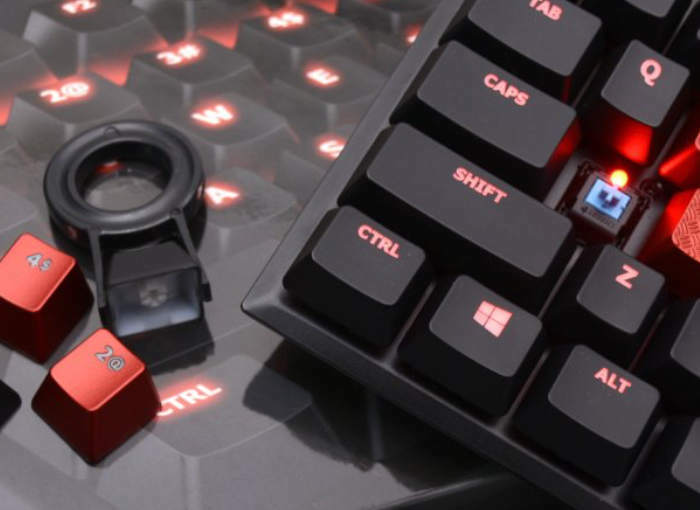 Kingston has this week added a new keyboard to its range with the launch of the new Kingston HyperX Alloy FPS Mechanical gaming keyboard which is now available to purchase priced at $99.99. The latest mechanical gaming keyboard has been equipped with Cherry MX switches has been demonstrated in the video embedded below. HyperX Alloy FPS Mechanical Gaming Keyboard features a minimalistic, compact design that’s ideal for FPS gameplay. Its space-saving layout maximises desktop space for FPS mouse movement. Ultra-portable, HyperX Alloy FPS comes complete with a high-quality mesh travel pouch to store and protect the keyboard and accessories, and the detachable, mini-USB braided power cord reduces storage bulk and potential cable damage. For high-precision, gaming-grade key contact and reliability, it features Cherry® MX mechanical keys. For full specifications and more details on the Kingston HyperX Alloy FPS Mechanical gaming keyboard jump over to the official Hyper X website via the link below.